Compact piezo rotation stage with small error motions. 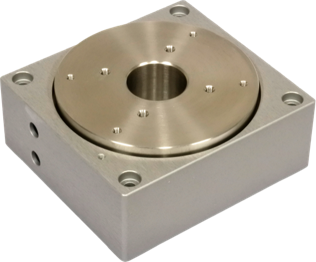 The XRT-U 40 is a compact and precise rotation stage driven by an ultrasonic piezo motor. With the XRT-U 40, you can achieve error motions comparable to an air bearing rotary stage, but in a smaller volume and for a lower price. Compared to other piezo motor technologies, an ultrasonic piezo motor, ensures you a longer lifetime, noiseless operation and a lower energy consumption. This makes the XRT-U a state-of-the-art rotation stage for applications such as micro CT scanners, metrology applications and vacuum and non-magnetic applications, such as electron microscopy. * Measured 7 mm above the top surface of the rotor. ** With the XD-U driver and without load. 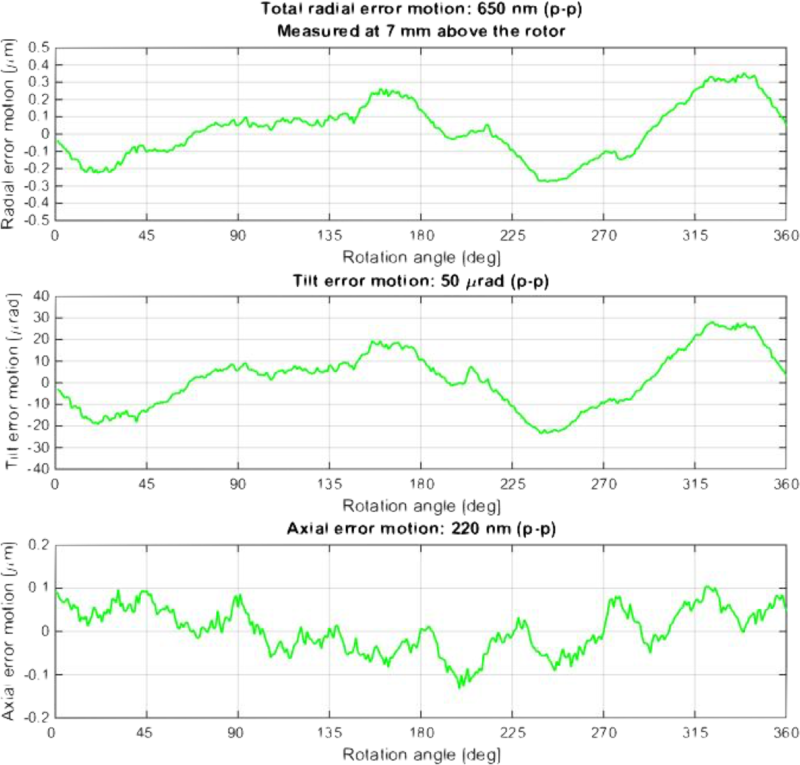 Learn more about the axes of rotation standard and error motion measurements on our technology page.